Now here’s some parallel parking with a heavy political vibe. 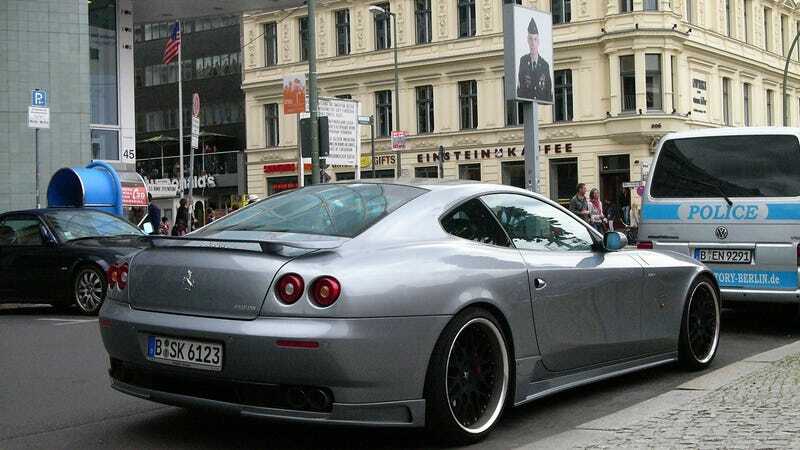 A Ferrari 612 Scaglietti, rendered gray and graceless by the German tuning company Hamann, parked on the East Berlin side of Checkpoint Charlie, the famous fortified hole which used to connect the two sides of Berlin across the Wall. Things have certainly come a long way since the decades of Trabis and Wartburgs.